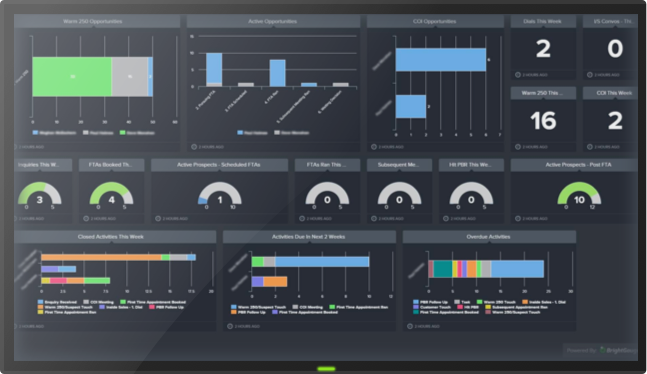 Customizable Dashboards - See how ITSPs & MSPs are setting up dashboards from their unique datasources. KPIs & Metrics - Learn how you can develop & share your own key metrics with your team across any dataset. Advanced Analytics - Discover how you can combine data across datasources to truly gain insights into your business. Client Facing Reporting - View our Executive Client Facing Reporting templates and how they help you show your value. Whether you're a Business Owner, Service Manager, Engineer, or in Sales, submit your information to schedule a demo and learn how BrightGauge can help you make BETTER decisions FASTER!